The next morning I got a call from Joseph: “You know those boots? Merry Christmas, the credit card transaction went through!” No one (not me, Anastasia or Joseph) pressed the button to confirm the payment… but somehow the payment went through. I can only blame Santa for this mystery. A week later, not Santa but a DHL postman delivered the present to my door. Needless to say, I didn’t email Net-A-Porter asking for a asking to reverse a transaction we didn’t make. 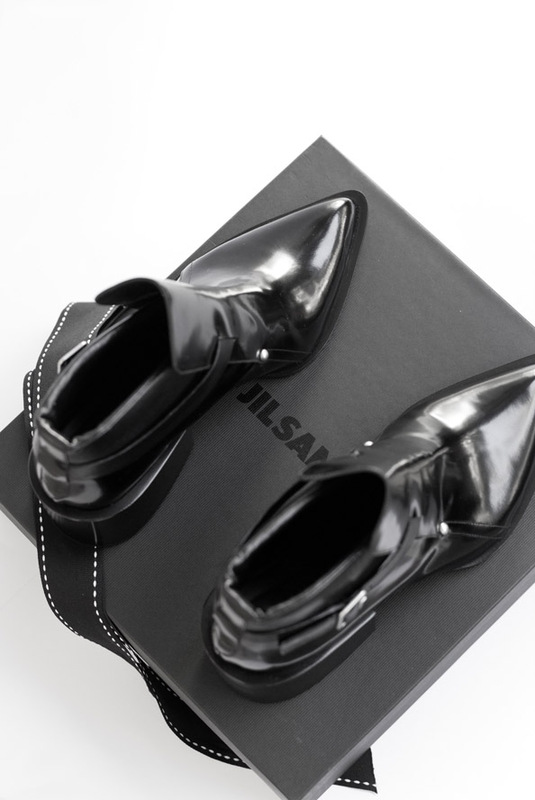 I just didn’t have the audacity to go against Santa and humbly accepted the Jil Sander miracle present. And Joseph is rapidly learning that Christmas is all about giving. Directed: Maria Vlezko/CrashingRed. 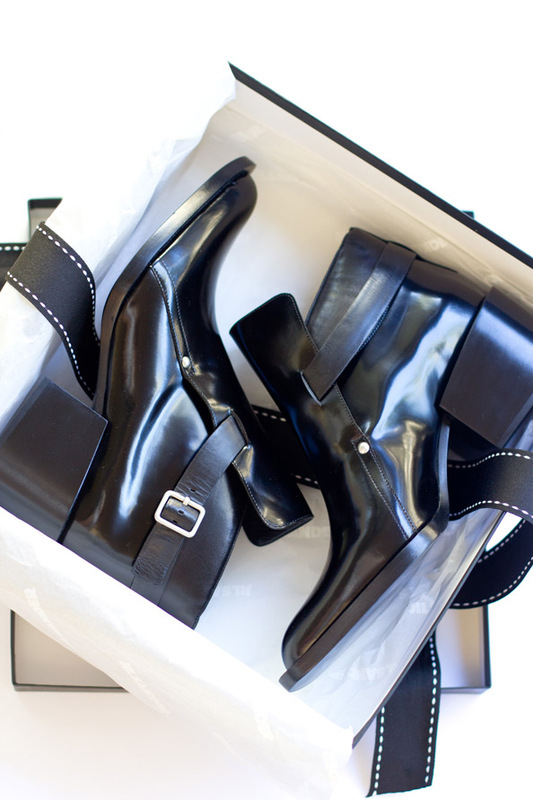 Starring: Jil Sander ankle boots. PS. If you really want something it will happen. PS.PS. Did you know that even if you’re in Australia, you still can buy things from the US Net-A-Porter site! They often have sales the way before Australia. Plus, when sales start in Australia most of good things are gone so it makes sense to open two accounts – one Australian and one US to make sure you don’t miss out on any good deals! Just started following you on pinterest. Love it! do you have a http://polyvore.com or http://dress.li account with outfits?